navy blue bridesmaid dresses | Soirée to Z. 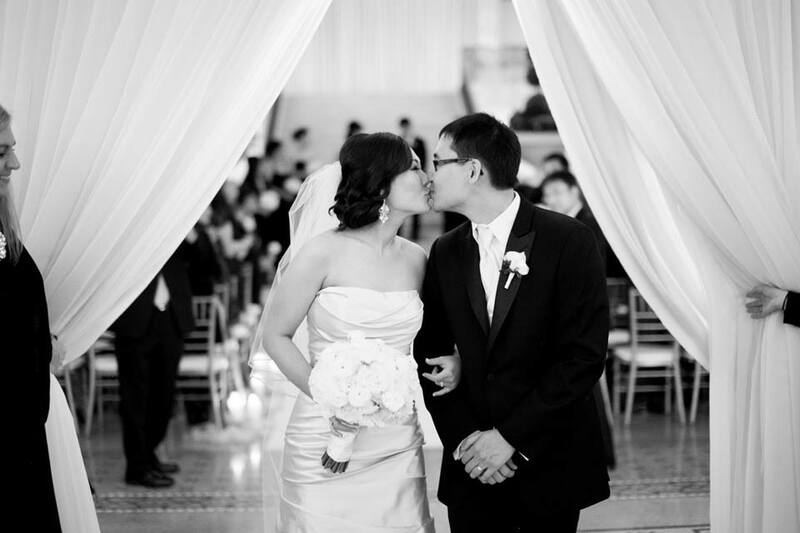 Happy Anniversary Michelle & John! 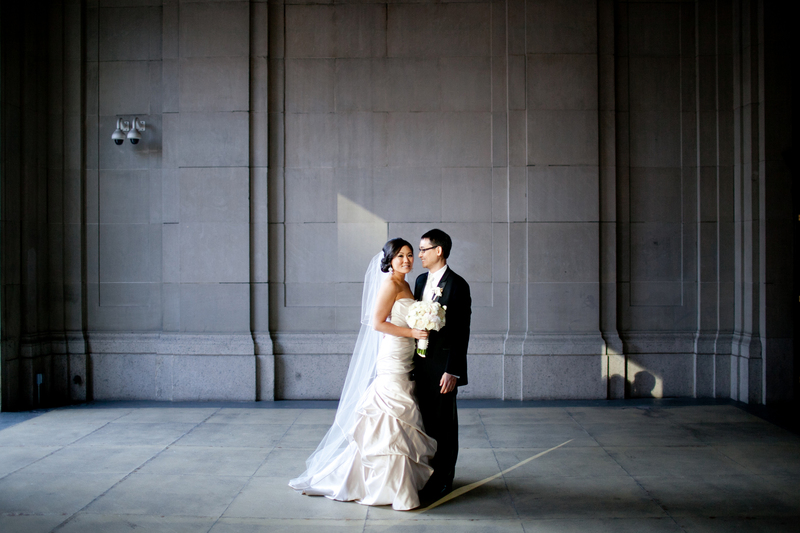 Happy One Year Anniversary to Michelle & John! 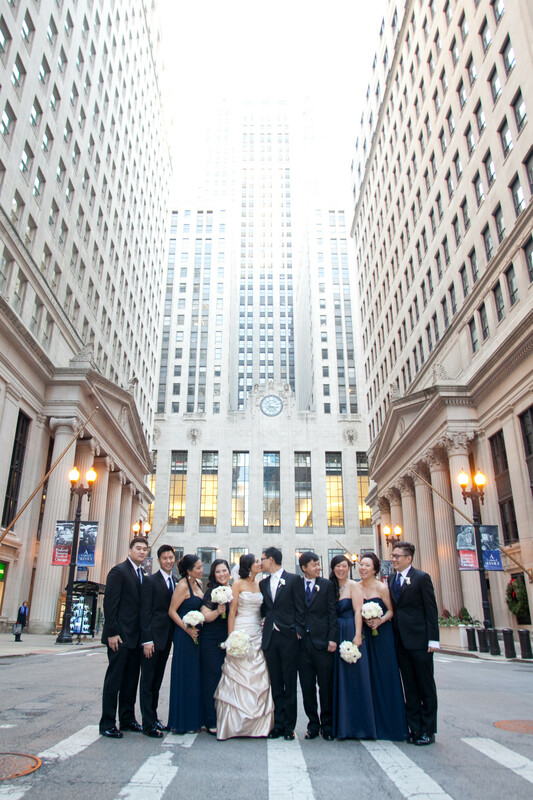 This couple lived in Philadelphia, but chose Chicago as the location for their wedding. 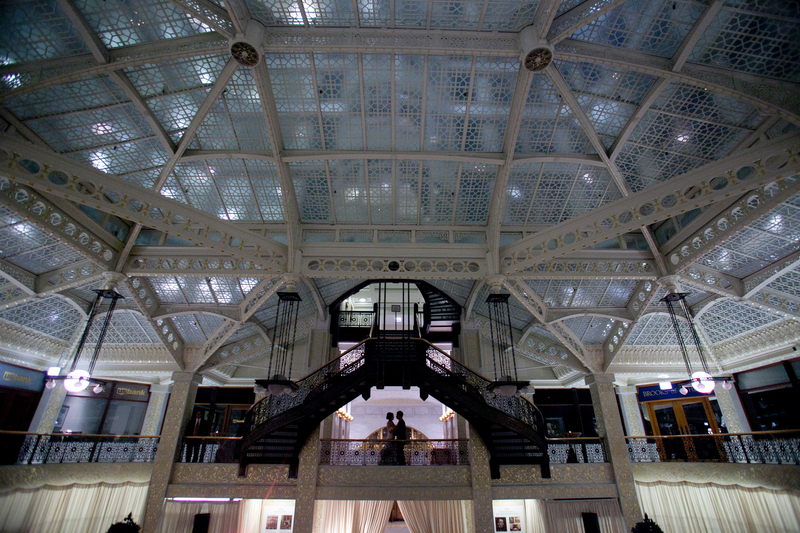 They exchanged vows at the historic and iconic Rookery Building on November 30th. 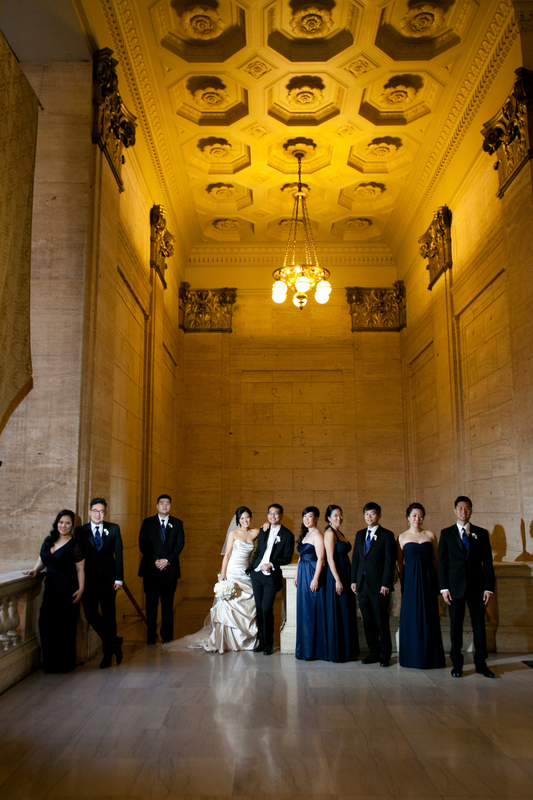 The stunning reception immediately followed. 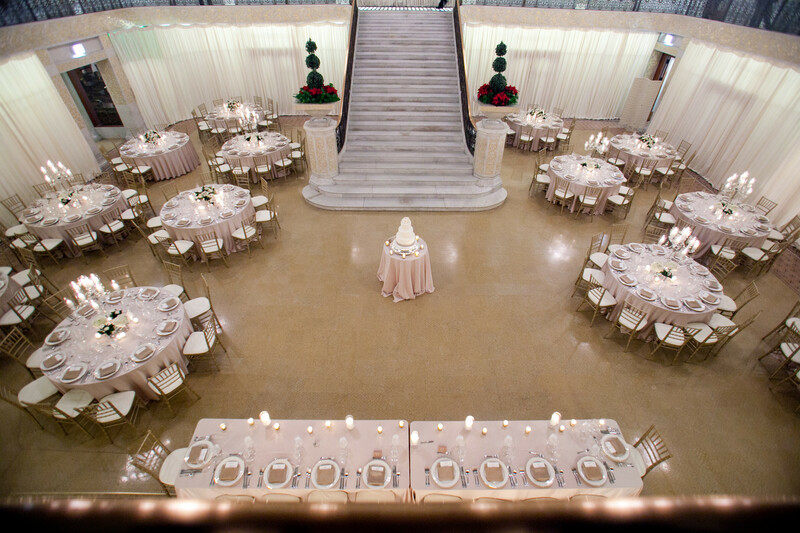 Michelle chose a classic and timeless decor theme, which was inspired by the venue’s classic 1920’s Frank Lloyd Wright architecture. 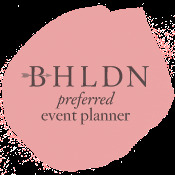 While guests mingled during the cocktail hour, they enjoyed hors d’oeuvres from Jewell Events Catering; followed by a three course meal for the sit down dinner. 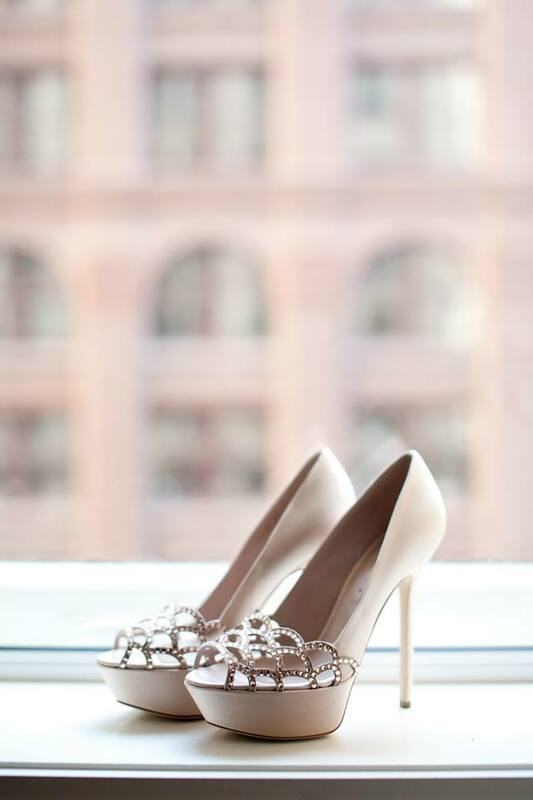 Thanks to John & Joseph Photography for a glimpse into Michelle and John’s perfect day! 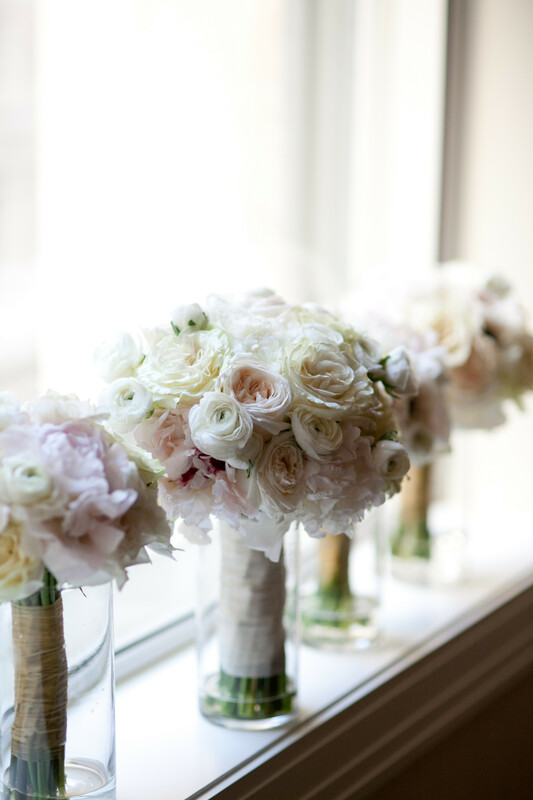 Romantic and gorgeous blush, white and ivory bouquets and by Vale of Enna. 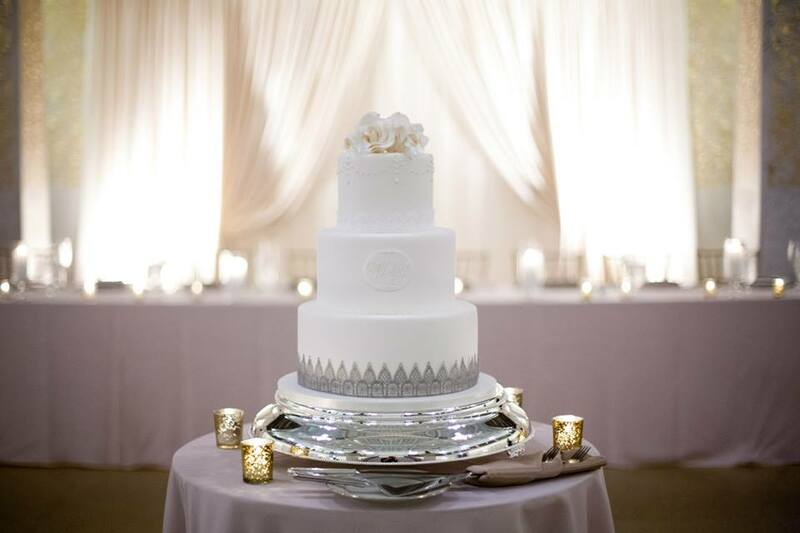 Amy Beck designed the elegant wedding cake, reminiscent of the architecture of the venue. 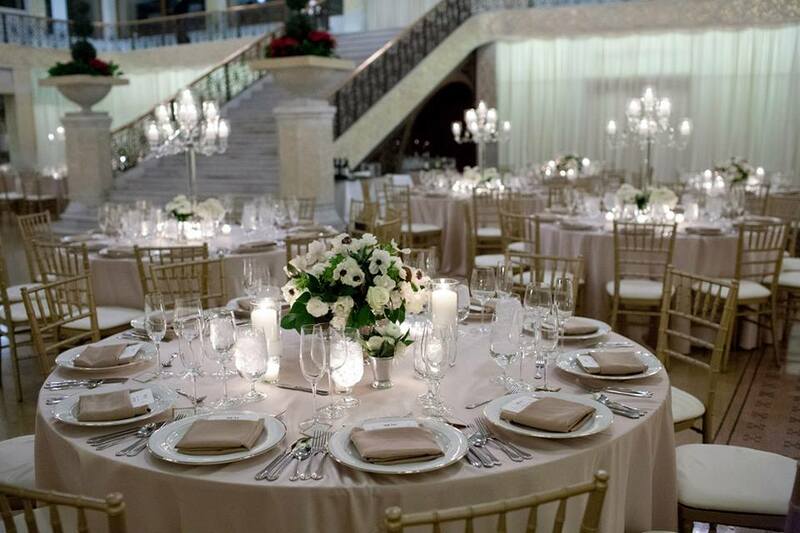 The crystal candelabra centerpieces added the perfect touch of sophistication and glam while the floral arrangements were soft and romantic. Just absolutely beautiful! DJ Chris Mixx kept the dance floor packed all night long as this couple shared their special day with friends and family. 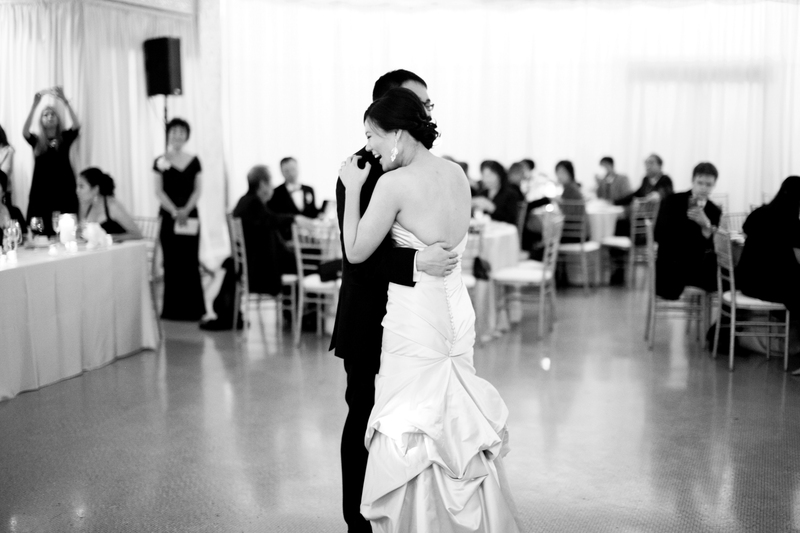 Michelle surprised the guests with this costume change – and we fell in love with her deco-inspired beaded party gown. It was a stunner! 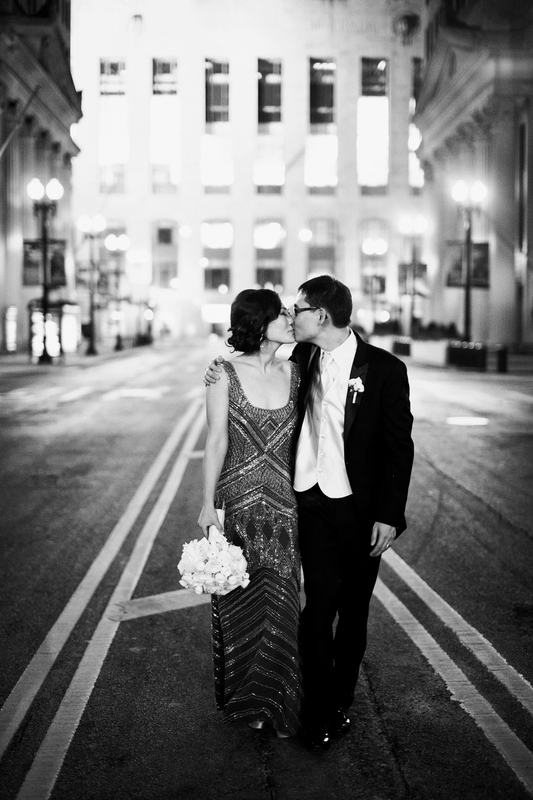 One of our favorite couples with one of our favorite Rookery weddings!! 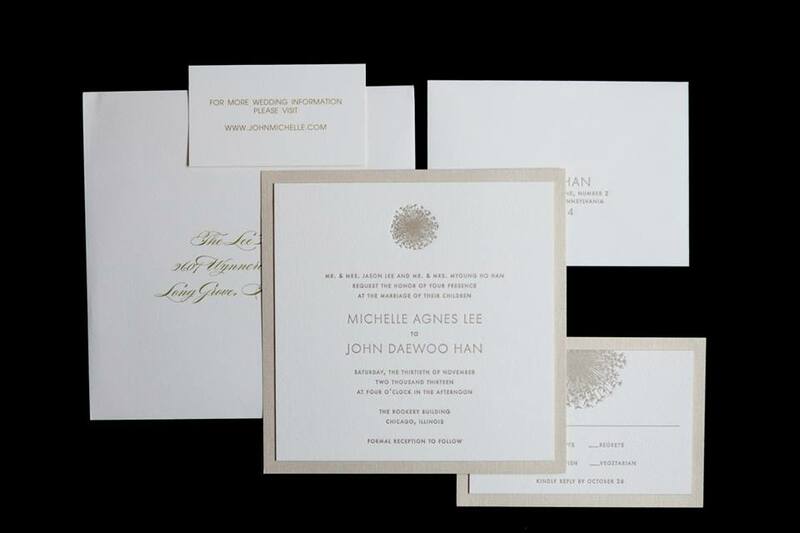 Here is to many many more Michelle & John!